For my final post on the Chocolate Party, I thought I’d share the fun printables with you, just in case you’re planning your own chocolate themed celebration. 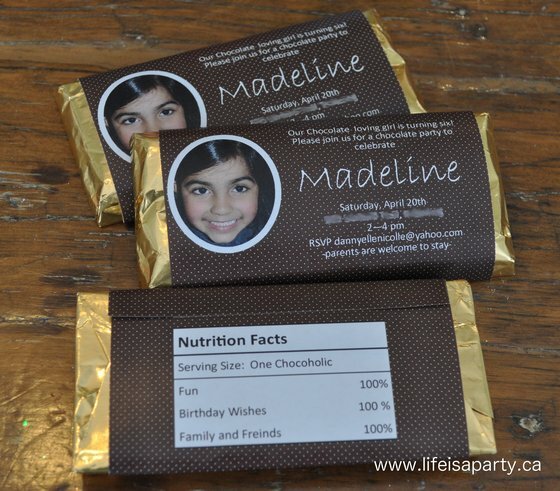 When we finally decided on the chocolate theme for the party, I knew I wanted to use chocolate bars as the party invitation. We started out with Caramilk chocolate bars, since they came wrapped in foil, and with a paper wrapper. I used the measurements to create our own personalized wrapper. It was a great hit with all the guests! I’ve a created a plain version here, which you can download for your own personal use. 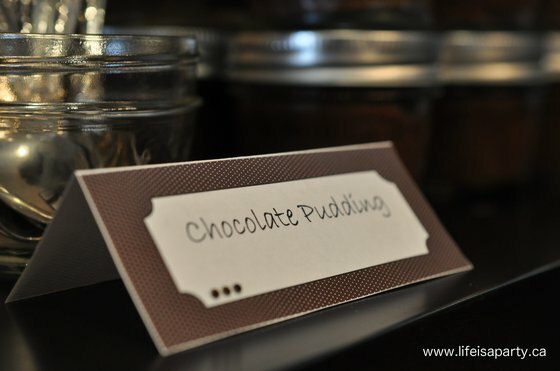 I also created some matching dessert table labels. You can download the blank tent labels here. I dressed them up with a few brown gemstone stickers in the corners. 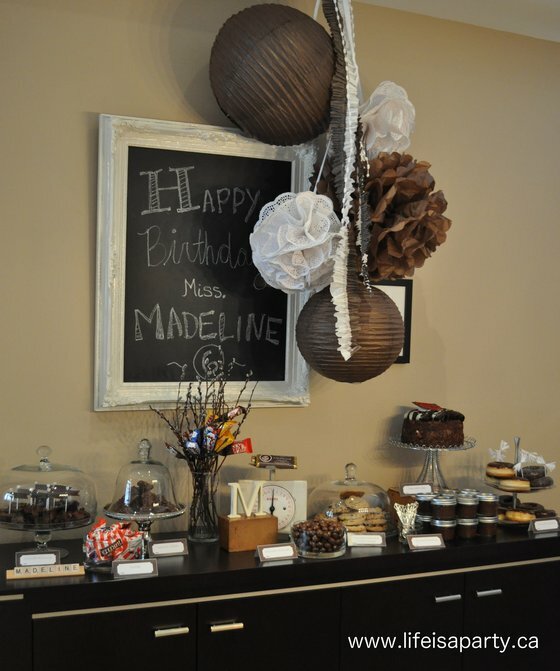 I used them to label all the desserts on the Chocolate Dessert Table -love how it turned out! With this much Chocolate, life certainly is a party!